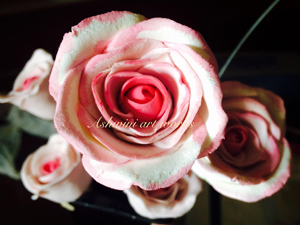 Making creative floral pattern decoration and other creative figures using cold porcelain was her passion. She gave her passion the wings of professionalism and now she is the one who helps others to learn this art. 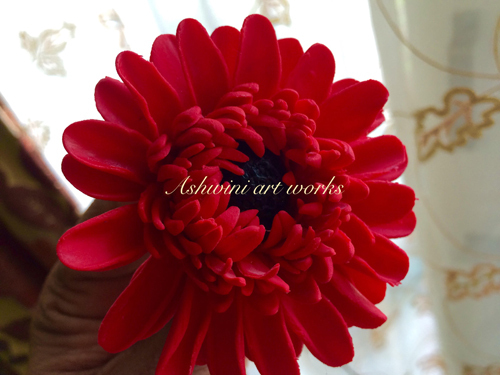 Join us to meet the very talented artist Ashwini. Welcome to the platform of Indiacafe24.com. We are happy to have a passionate artist with us in this session. 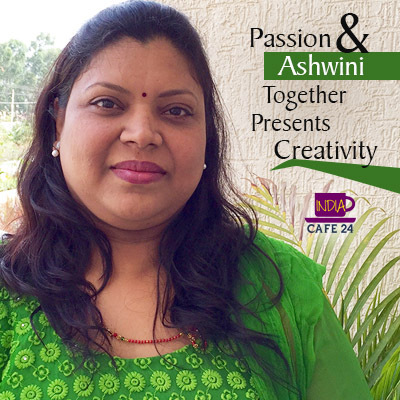 Ashwini please share with our readers about your background and family? A: First, let me thank you for the encouraging words and providing me an opportunity to share my experience. I am from Hubli, Karnataka and settled in Bangalore now. In my childhood we lived in a chawl (line houses), where art and creativity was part and parcel of regular life by way of making rangoli, diyas, lanterns for Diwali and knitting sweaters for babies. So art was not something new for me. My passion for art started with my mother’s creativity and her knowledge on art. When you first realized the fact that you are actually a creative person? 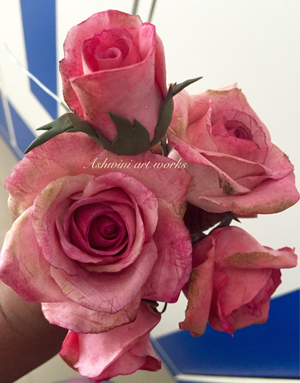 A: I kept on making flowers using cloth & paper from college days. When I tried creating artificial waterfalls, I used m-seal to make flowers and trees for waterfalls. 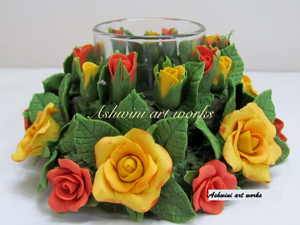 Ashwini Art work – Your dream project, when you planned to launch it and why? What are the areas on which this project is working? 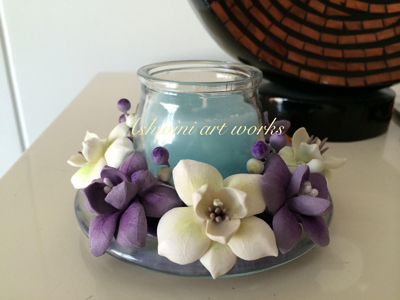 A: I kept on making different type of flowers using clay. 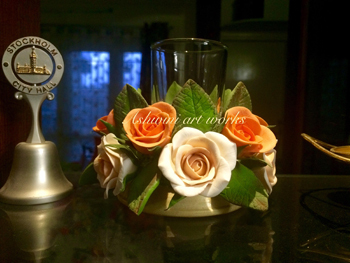 For each of my art work I started receiving appreciation from family and friends. Then my husband suggested me to take it up to the next level. 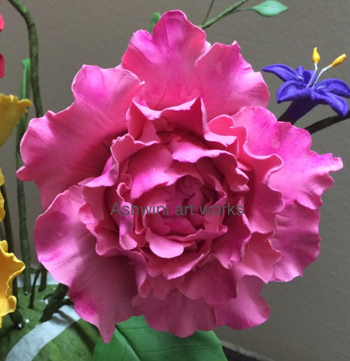 When we were thinking in this direction, my elder brother, who is an IT professional, created a website – ‘Ashwini Art Works’ which was a total surprise for me. This motivated me to take my art work to the next level of expansion. 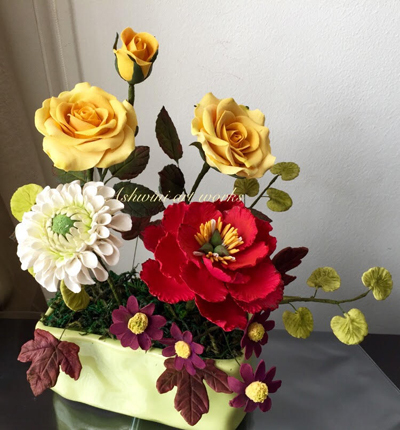 My husband’s sister, who is an executive in a corporate, gave an idea of making different type of arrangements which can be used as corporate gifts. 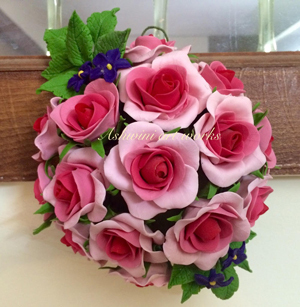 From then onwards I started with full fledged classes in Bangalore and taking orders. A: I am experiencing a steady growth. Initially I was taking classes only in Bangalore. Then through social media, I started getting requests from cities like Mumbai and Pune. When I was thinking of conducting classes out of Bangalore, my elder brother, who is a business development head by profession, helped me by providing ‘n’ number of ideas to conduct the classes in these cities. As I keep receiving requests from cities like, Delhi, Hyderabad, Chennai, etc… I am working towards addressing such requirements on regular basis. What are the different ranges of products you are having in your collection? A: I don’t have definite range of products. It always depends on the requirement/demand. 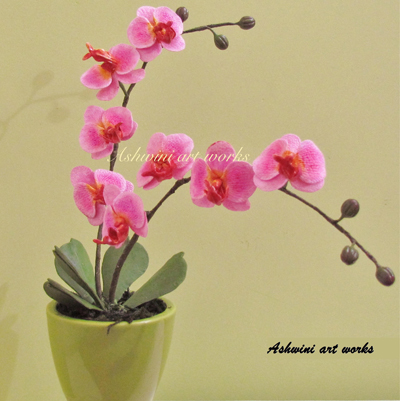 What are the parameters you keep in mind while setting the price of your individual art work? As we came to know that you are conducting workshops – So what sort of response you are getting? A: I am getting good and encouraging response so far…thanks to the social media which provides great platform and visibility for such efforts. What is the basic curriculum in your workshops? 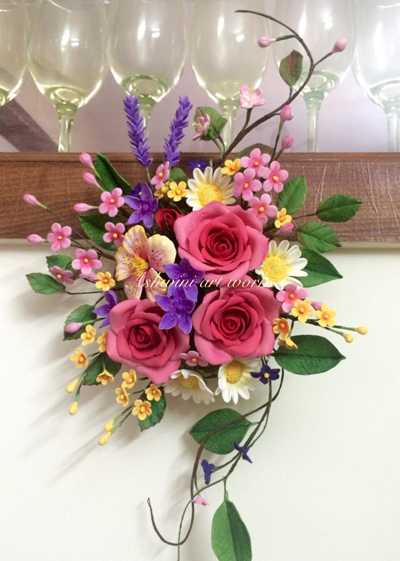 A: Different types of flower making which ranges from 3 to 5 types of flowers and an arrangement. 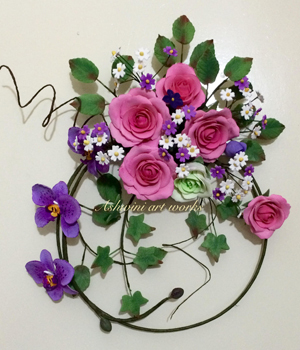 Making flowers using cutters, tools and veiners is an easier task. 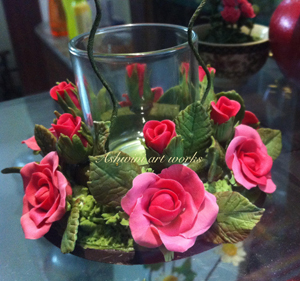 But highlight of my curriculum/workshop is that, I teach the flower making with tools and also without using the tools. 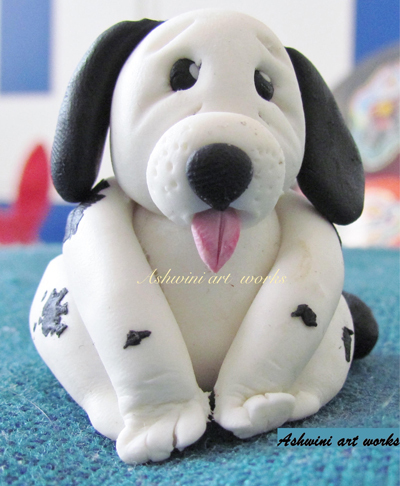 I have another curriculum for clay toy making. A: Music is my another greatest passion. I am trained in singing and also conduct classes occasionally. My husband is also a good singer and in most of the social gatherings we perform musical duets. 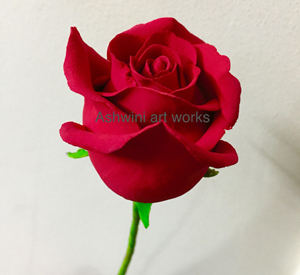 Define Ashwini the artist in one line?